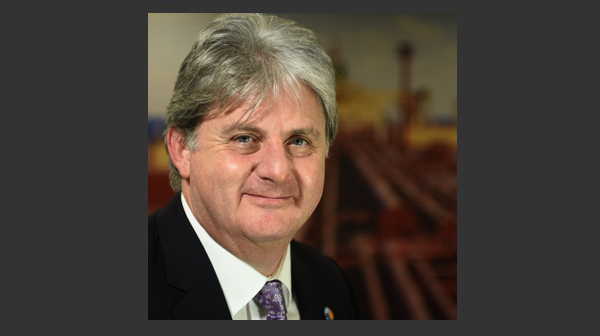 Many ship operators require a far better understanding of ballast water treatment technologiesand their shortcomings in real-life applications, Coldharbour Marine Chief Executive, Andrew Marshall, has warned. Inadequate due diligence now could result in expensive operational problems in the future, and potential long-term reputational damage. The Chief Executive believes that delegates at the IMO’s MEPC 72 meeting in April are likely to sign off the two-year delay on ballast water Convention implementation dates for existing ships – a move which he describes as “regrettable” since it means another two years of threats from invasive species. However, he believes that the extra 24 months will at least allow more time for the essential due diligence which many ship operators have only just begun to come to terms with. Marshall points to the recent USCG warning as confirmation that type approval for a treatment system does not automatically mean that it is fit-for-purpose. A whole range of operational variables must be carefully assessed, on board the ship itself and relating to its operation. He cites two examples: ultra violet systems can struggle in waters of high turbidity; and electro-chlorination may not be as effective in waters of low temperature and/or low salinity. In both cases, the treatment system may require significantly more power which may or may not be available on-board ship. Parts of the industry are finally addressing what he describes as “the BWTS conundrum”. But he also points out that whilst many are working hard to understand the practical issues facing the day-to-day operation of treatment systems, many others are simply relying on type approval certificates and testing data that often bears no resemblance to the conditions that their vessels will face in daily operation. The issue was highlighted in December, he points out, when the Maritime Environmental Resource Center withdrew from the USCG testing programme, citing shortcomings in test procedures. Ultimately, Marshall says that the risks of inadequate due diligence carry huge financial implications for owners. These include delays, higher port charges, penalty fines and off-hire. In a worst case where a vessel failed PSC tests and was forced to sail for international waters, de-ballast, re-ballast and return to the discharge port, other costs would include additional fuel and more off-hire.